Quality and depth, vocal stability and stamina all depend on firm foundations being laid at the outset of a singer’s development. The key to truly effective voice training – and the best model for singers’ education – is the recognition and understanding of the unique nature of the singing instrument. To date no science or methodology has been able to prevent a growing existential crisis regarding what I perceive to be declining standards and values in both the training and performance of singers. While the primary responsibility for setting standards and effective curricula lies with the highest musical institutions, what constitutes ‘excellence’ in singing, and what is required to achieve it, are in urgent need of revision and clarification. 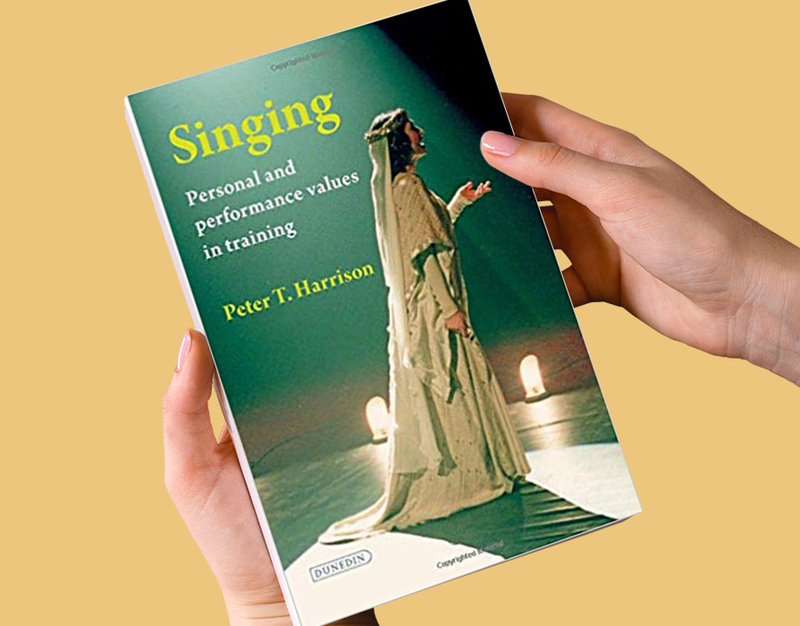 In Singing: Personal and performance values in training, I propose a progressive training model that arises logically from the holistic principles explored in The Human Nature of the Singing Voice. At the outset of this book, I say why I believe there is a need to define and identify the singing voice – first, because singing can mean very different things to different people; second, because the true human singing voice is something innate, inalienable and universal, and third, because, as an instrument of both the expression of emotions and of music-making, it is quite unique and requires specialised treatment. Towards satisfying this requirement Part I, The Singing Voice, explores some defining singing voice characteristics: Structure (anatomy and physiology), Bel Canto (beautiful in the sense of music-making), Identity (individuality in quality and character) and Communication (what the voice transmits). Subsequently, these essential characteristics of the singing voice serve as guidelines throughout the rest of the book. In Part II, The Work, I outline what I consider to be a practical (and realistic) curriculum at tertiary level, showing how the various facets of the singer’s art – ‘technique’, musicianship, language, acting skills and so forth – can productively interrelate (instead of being at odds) and complement one another. Part III considers Conditions, including a conducive teaching-learning environment, the attitude of participants, and the systems thinking necessary for interdisciplinary coordination and complementariness. Part IV, The Enshrining of Values, looks into responsible education and cooperation as concepts, and considers the realistic and fair measurement of students’ progress, as well as what can be meant by ‘excellence’. 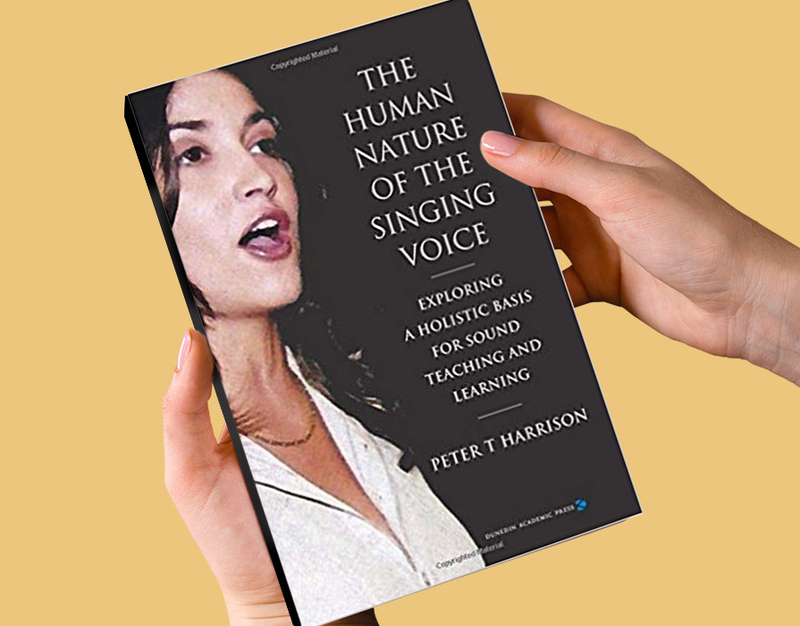 It discusses the responsibility of educators and the need for consensus, and concludes by looking at values with regard to the singer as a unique voice, and their performance as a creative act. …is not for the faint hearted or those looking for a middle road. It is a bold and decisive statement… an unashamed call to arms of what he feels should be occurring in the psyche… the heart and the life of every singing pedagogue. Myths are challenged, sacred cows threatened, and the gauntlet thrown down to many deeply held beliefs. …the section on false perspectives and misperceptions will resonate with many readers. ‘The Enshrining of Values’ …demands accountability, integrity and deep self-reflection. Harrison sets a high bar for the profession of singing pedagogues. …this book is well overdue in the singing literature as it places the need of the singer, or singing student, at the centre. …if you read, and reflect upon, his words you’ll be a better singing teacher for it. Harrison writes in a classically humanist vein, bemoaning the demise of an era where singing was an art-form and merit determined by craft and skill rather than by media exposure. …’self-realisation’ and ‘authenticity’ …are at the centre of Harrison’s book …the text is strongest in sections which discuss the anatomy and physiology of the human voice and its organisation into subsystems which cannot be separated from emotions and meaning-making processes. Harrison is an insightful and witty commentator drawing from a wealth of personal experiences. …there is much wisdom in Harrison’s entreaty to voice instructors and institutions to address student-performers as complicated, multifaceted individuals. …his insistence on a student-centred ethos and the music school’s responsibility to help voice students achieve self-realisation and longevity in a complicated, difficult profession is most timely.